The Grand Circle Island Tour begins as the morning sun warms the sandy beaches of Waikiki. 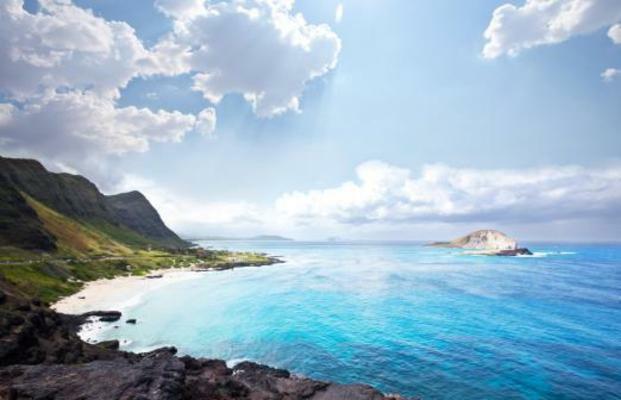 Soon the eastern shores of Oahu will appear as you circle Diamond Head Crater. Then you’ll pass through luxurious Kahala with its mansions and beach houses. 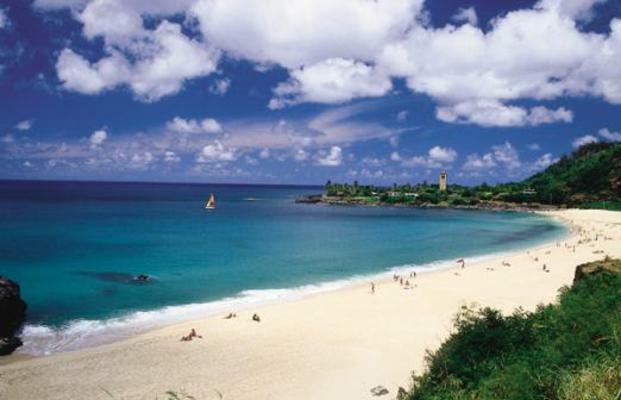 It’s one of the best sightseeing tours in all of Hawaii! 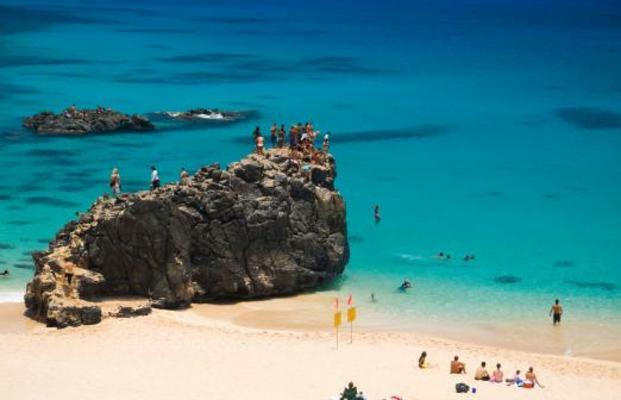 As we continue our tour, you’ll witness one of the most photographed places on Oahu. 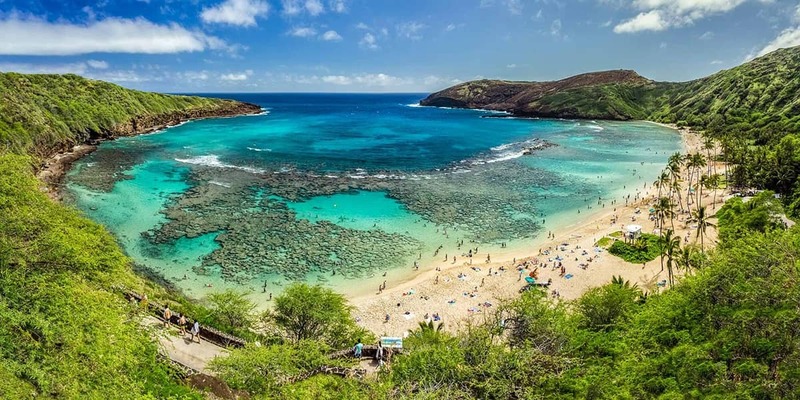 You’ve arrived at beautiful Hanauma Bay. This coral reef and marine sanctuary protects a wide array of sea creatures. Other natural wonders include molten lava tubes. 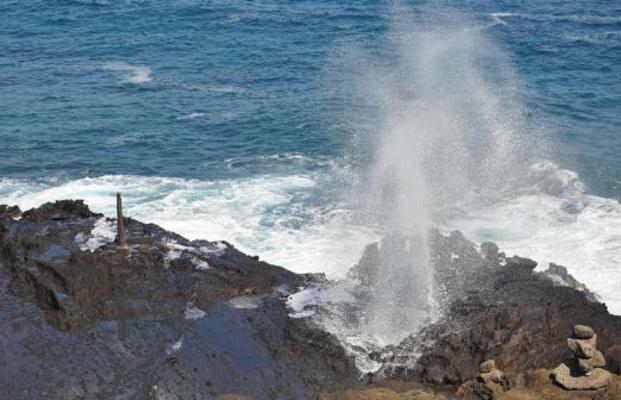 They shoot ocean sprays 30 feet in the air as waves crash against the shoreline. Before long, we’ll weave up the Koʻolau Mountains to the Nuʻuanu Pali Lookout. This is where King Kamehameha battled to unite the Hawaiian Islands. 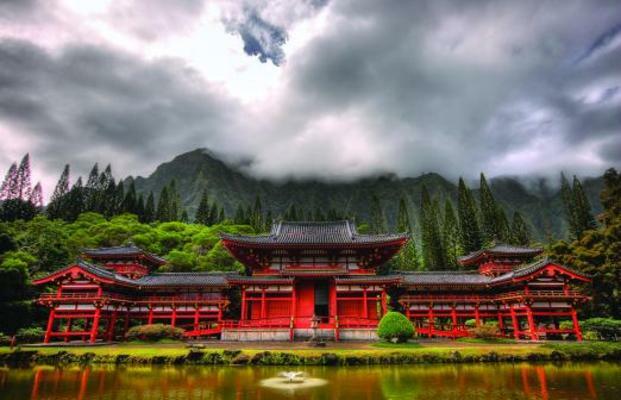 Later, you’ll find yourself in a mountain cleft gazing at the Byodo-In Temple. This remarkable structure commemorates the 100-year anniversary of the first Japanese immigrants. Moving on, we’ll visit Waimea Falls and the surrounding valley. These places are rich with history, spirituality and island traditions. Your E Noa guide will take you through the botanical gardens of this vast and tranquil setting. Learn how deeply embedded traditions live on in today’s Hawaiian culture. Next, we’ll journey to Dole Plantation with its rows of pineapple and sugarcane. Your E Noa guide will share the rich agricultural history of Oahu. And you’ll learn how the sweet and prickly pineapple became Hawaii’s symbol of hospitality.